Cybercriminals are continuously refining methods and approaches to score a big data heist in healthcare IT infrastructure. Without a doubt, 2015 was a tough year to cybersecurity, and it doesn't look like 2016 will be much better. According to a “Data Breach Report” on December 2015 by the Identity Theft Resource Center (ITRC), over 120 million patient records were compromised. Fortunately, there are some things that a healthcare organizations can do to bolster cybersecurity and prevent data breaches in the future. By avoiding simple mistakes, an organization can reduce it's risks to data breach. Other industries are investing in robust cybersecurity capabilities, but healthcare organizations lag behind. 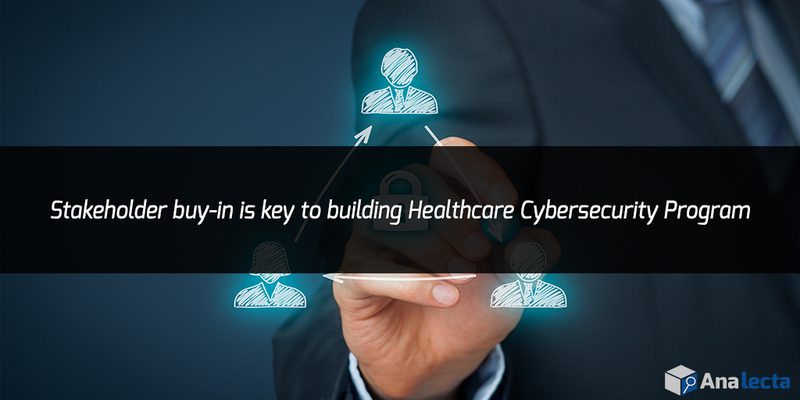 Key stakeholder commitments to security in the healthcare industry have been difficult to garner. A 2015 study, however, concluded that 80% of healthcare organizations in need of cybersecurity assistance believe there is a significant global scarcity of talented and skilled cybersecurity experts. An organization that lacks cybersecurity leadership could result to numerous issues such as having lack of support and advocacy for their cybersecurity program, less cyber security awareness and training among employees and lack of regard to serious cyber threats. Additionally, lacking the right security tools hinder reaching an effective cybersecurity posture. A Forrester research study found that hospitals allocate minimal budget for security concerns, even though the average breach incident costs between $3-$4 million. Successful cyber security programs require significant investment in defensive capabilities. Analecta, a managed security services provider, provides cybersecurity as a service to reduce the total costs of a robust security program and centralize experise in advanced cyber threats. Employees who have access to sensitive data should be made aware about the risks and vulnerability. They should be properly informed about phishing messages, suspicious emails and properly safeguarding their access codes. A report from Spector Soft says that 57% of data breaches originates from an insider threats. Mobile devices are one of the biggest threats in cybersecurity because it can easily get stolen and can be accessed by anyone. That is why a strict security protocol should be enforced to avoid bigger cybersecurity problems. 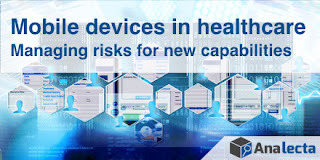 Learn more about risks specific to mobile devices here.